Go straight to the new web site by clicking here or click on the video below. 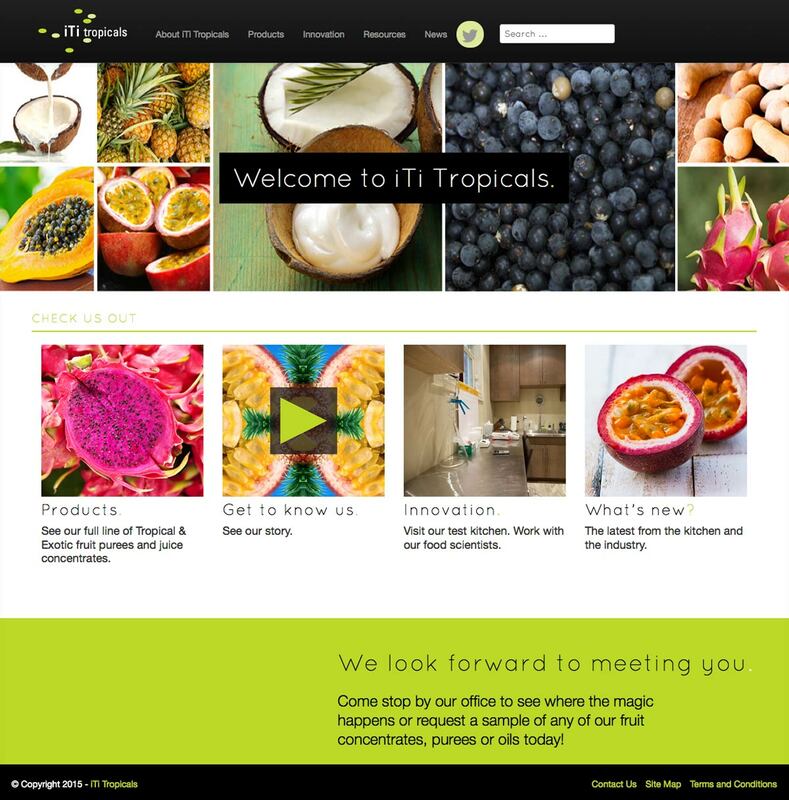 Lawrenceville, NJ, 9 October 2015 - iTi Tropicals, Inc. (iTi), the leading supplier of tropical and exotic fruit juice concentrates and purees in North America, announced today the launch of its new website (ititropicals.com) created to provide an enhanced user experience, information resource and service offering. A significant technological upgrade, the website features a fresh graphic design, improved navigation and functionality, and a 90 second corporate video. The revamped website, focused on optimal usability and contemporary style, reflects the company's continued mission to stand firmly on the frontlines of innovation. The primary objectives are to offer the user optimal ease-of-navigation and visual appeal. The overall graphic design is bold, bright and modern, featuring vivid colors and artistic photography that bring the products to life. Built to facilitate a seamless interactive experience, the website is created to make it simple for users to visit, quickly find the information they seek, and immediately act on it through a variety of online forms and functions. All information is readily available including product samples and facts, company background and news, customer resources, and even employment opportunities. "Established in pre-internet1988, we've been technology early adapters for nearly three decades," said Gert van Manen, president of iTi Tropicals. "Our new website marks our latest initiative to most efficiently and effectively deliver our customers business-critical information, products and services." The new iTi corporate video, launching simultaneously on the website, is a 90-second animation-style film designed to convey the company's culture and provide a brief overview of its history, organizational structure, products, and services. A reflection of the website, the graphic style is clean, sleek and contemporary. The content is skillfully crafted to communicate the iTi story in a way that is informative and engaging. Narrated by President Gert van Manen, the audience learns firsthand how his distinct vision, corporate mission, and personal passion prove to support the business success of iTi customers. "iTi Tropicals is not a broker. We are fully invested merchants who stand behind our products 100 percent," said Mr. van Manen. 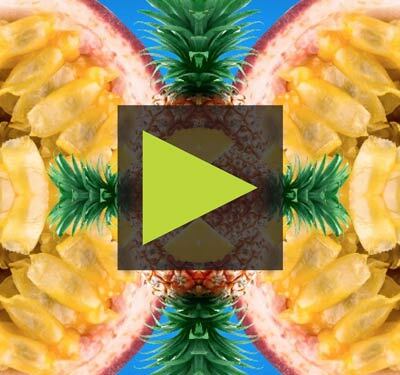 "Hands-on throughout the process, from fruit sourcing to finished ingredient, we establish long-term partnerships with a firm foundation of trust and loyalty that is demonstrated across the board." Agents or brokers serve as middlemen between growers and manufacturers. iTi is a merchant operating with a completely different business model. Simply put, they own the product, giving them a vested interest that insures its customers receive the finest ingredients and service available worldwide. Further, iTi's biggest investment is research and development and the company has its own dedicated state-of-the-art R&D and quality control departments. "Our website overhaul is only the first step in our plan to elevate our customer commitment to the next level by consistently offering the latest technology, products and service innovations," said Mr. van Manen. "We encourage our customers to stay tuned for the exciting new developments that are coming soon."